Over the few updates we've had a lot to show on the game development side. With so much to go through, we haven't been keeping up with introducing you to the new members of the Snapshot Team. Snapshot Games has been continuing to grow over the last couple of months with many new members - and there are still more to come. Below we're going to give you the rundown and introduce some of the latest additions to the teams working on Phoenix Point. Rosen joins the Snapshot team as a texture and VFX artist. While new to the video game industry, Rosen has a background in VFX for the movie industry. His favourite games of all time are Disciples 2 and Crash Bandicoot, although he now mostly plays MMOs and MOBAs. He's currently working on visual effects for the Armadillo and the Technician class, as well as texturing the New Jericho residential buildings. "I'm a Scrum Master with a passion for D&D (Democracy and Diplomacy). You know - that crazy person who keeps spamming everybody with meeting invites for workshops, stand-ups and retrospectives and who is constantly trying to optimise workflows. I'm a first-timer in the gaming development world and so far it's great. I'm a huge fan of Julian's work since my teenage years and to work for a game he's designed is pretty awesome. My favourite game? So many, really... I do prefer turn-based strategies - used to play a lot of Heroes, Disciples and similar games growing up. I also like Stellaris a lot nowadays, which is real-time, but still very strategic. I'm currently working on character entry into the game - working together with the awesome people in modelling, animations and programming to add as many creatures and their abilities in the game for November." Another new addition to the game development industry, Andy joins us as a level designer. Andy has years of experience with various level editors and development toolkits. He enjoys turn-based strategies and RPGs. His all-time favourite games are Fallout 1 & 2, Baldur's Gate 1 & 2 and Thief 1 & 2. Andy is currently working on the New Jericho environments, specifically the residential and industrial maps. 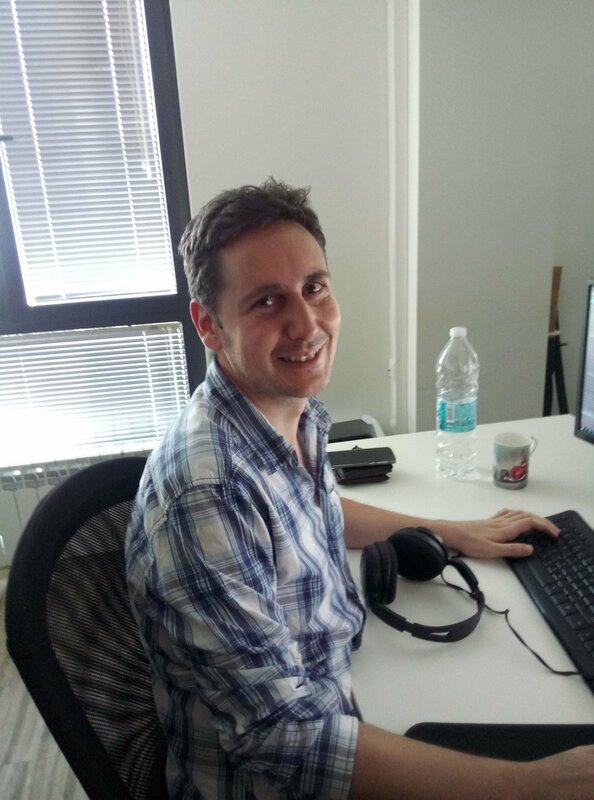 A new addition to our programming team is Vasil. 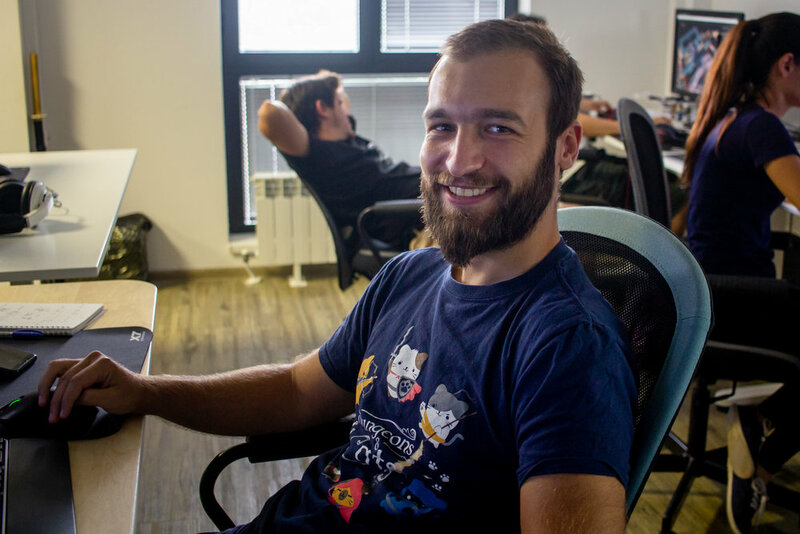 He is experienced with computer graphics programming and rendering, and this is his first venture into video game development. His favourite games are the Assassin's Creed series, but he also enjoys the mental challenges from some of the smaller puzzle games out there. Vasil is part of the tactical programming team and is currently working on tactical mission mechanics and character abilities. "My favorite game is the last of us - which inspired me to get into this stuff in the first place. had a very different education, but I fell head over heel in love with the environment art in that game. so I dropped what ever I had in my hands and started drawing. and have done nothing else since. When I saw the early alpha pictures of this game, I immediately wrote to Snapshot asking if they were willing to give me a internship. (because the game looked crazy nice). They send me a art test, and now I am a concept artist!" You can often see Lars working on his artwork live on his Twitch TV channel, which is also announced on the Snapshot Games Discord. Lars is currently working on the interiors for New Jericho and The Phoenix Project. 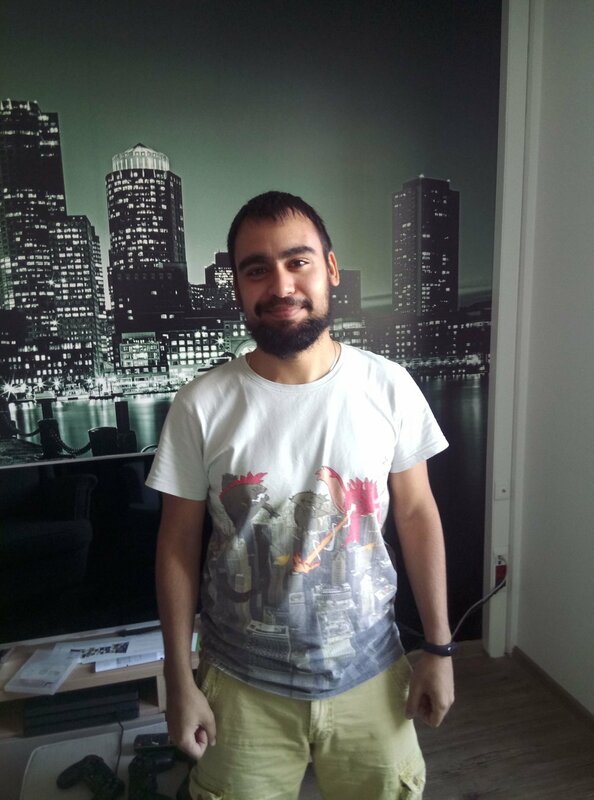 Hristian is our data analyst here at Snapshot Games, but he's also working in level design. He's also new to the gaming industry, but like all of our other new recruits has passed all of the appropriate practical tests. His favourite games are Deus Ex and Antichamber. He is currently working on the layout for the scavenging sites. "I am the new Sys Admin. What a wonderful feeling! I think working for Snapshot will be amazing and even though I am still adjusting, I have to say it's already feeling pretty freaking awesome. I have not really worked on games in the past, even though I've had some development experience. I just moved here from a huge company where my work was not really related to this exact field, but I was still a hobbyist gamer. My favorite genre has to be FPS, it just gets me closer to the action. KB+Mouse gamer right here, haha. Favorite game, Call of Duty 4: Modern Warfare with the mod Promod . Hey, what can I say - I prefer competitive gameplay in my games. Lastly, what I am working on. Well, I had to set up a couple of computers, and that was just on my first day here. But mostly I'll be working on internal onsite projects and helping out everyone around the office should they face any issues. It's pretty much what I've been doing throughout my life up until this point and I do believe that when we all work together we will make a brilliant game!" Victoria joins our team as an animator. Another newcomer to the game development industry, Victoria previously worked at Chaos Group Bulgaria and Bon Art. Her favourite game is [probably] Portal. She is currently working on the animations for the Crab Queen Larvae. We still have several new developers starting over the coming weeks, and we're still hiring! We'll provide another update in the future as the team grows.